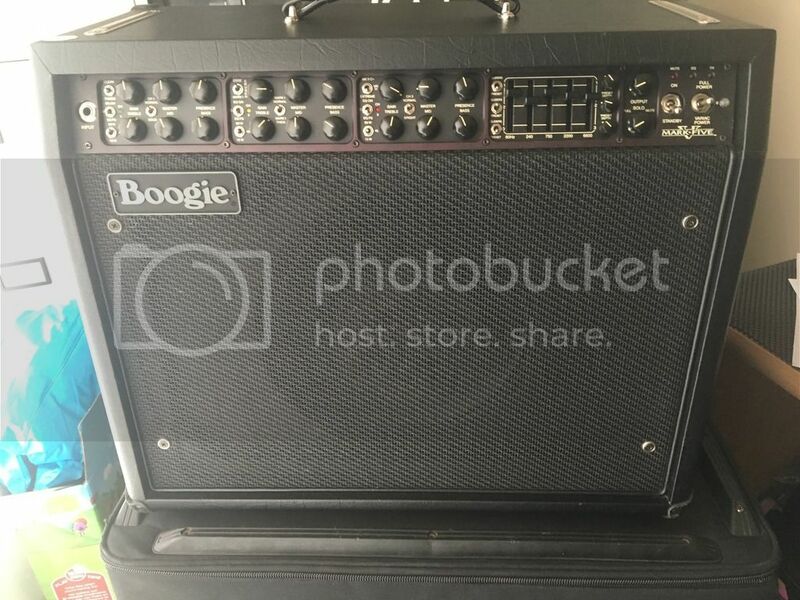 I’m new to the forum, and to Mesa- just bought my first, a Mark V combo about 6 years old, got a great deal on eBay. 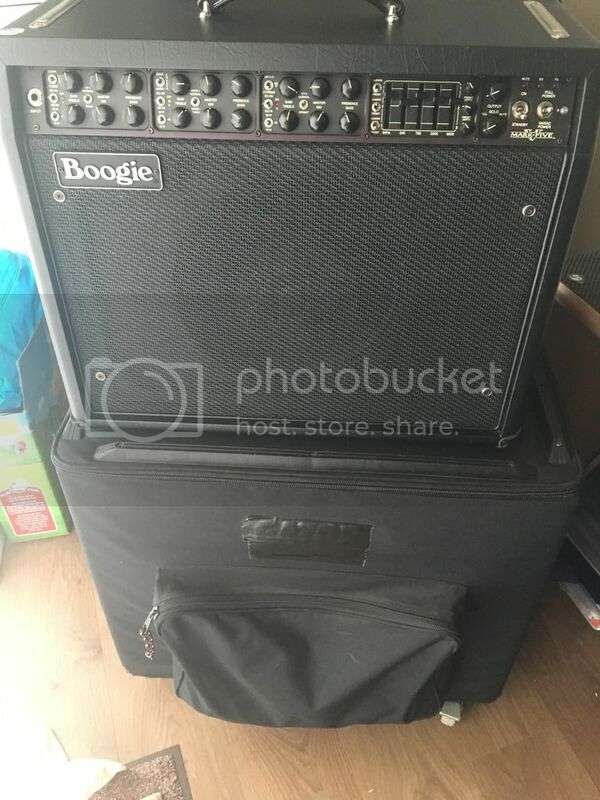 I’m a lifelong Marshall user (of about 30 years) but have craved a boogie ever since the Mark IV was launched. I play mostly hard rock/punk based stuff. I’ve only had about a couple of hours on it so far. I’ve already kinda tried the 12AT7 mod- I’ve stuck a Mullard in V6 and it’s definitely improved, and I’ve also ordered a couple of JAN/Philips so I can try V4 and V6. Ive found some great recommended settings on here so thanks everyone for that! I’m on a break from bands at the moment due to hectic lifestyle so just restricted to playing in my office for now, but can’t wait to get her into a studio and open her up! Try the Tungsol Goldpin in V1, Tungsol silvers in V2 and V3 and 12AT7s in V4 and V7 too to enhance things further. When you get into various extension cabs its another level upper with all the extra EQ stage and further voicing options it brings. Thanks for the advice! I’ve got a couple of Tung sols actually, I’ll give them a try. 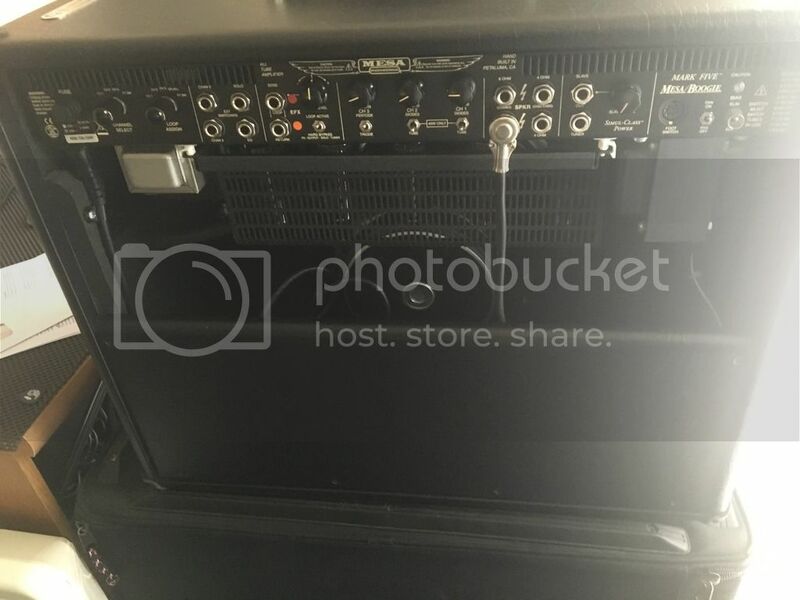 I’m itching to get it hooked up to my Marshall 4x12 too, might try that this weekend! 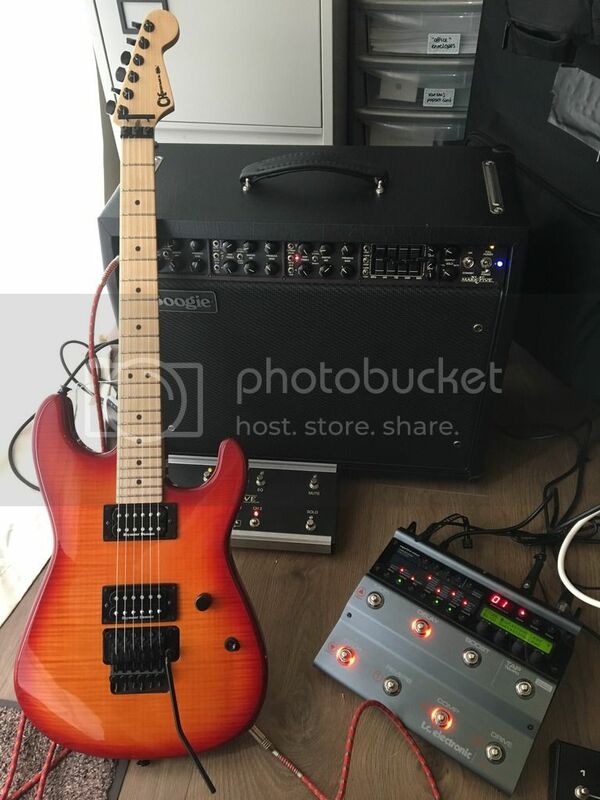 Just also added a TC Electronic Nova System and a Charvel San Dimas. Wow, it sounds good through that JB bridge pickup!